After swapping out regular peanut butter for the natural stuff, you knew what was coming next, right? 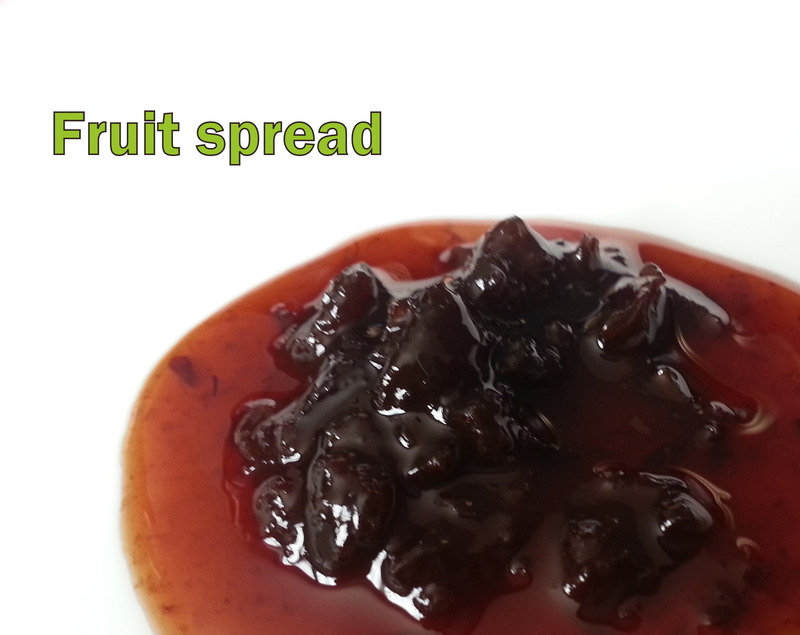 You have to go all-in for a 100% natural sandwich filling: jam. It is one method of preserving produce over the winter. It’s usually eaten in small quantities. Jam is not the most evil of dietary villains, to be sure. But it is mostly sugar (in its many forms – added glucose anyone?) – and despite what lobbyists say about healthy diets “including carbohydrates”, added sugar should not be the source. What starts out as natural sugar cane (a plant! Sounds healthy! ), the white sugar we all know bears no resemblance (physically or digestively) to its origin. Swapping it out for an alternative is actually a pretty easy fix. 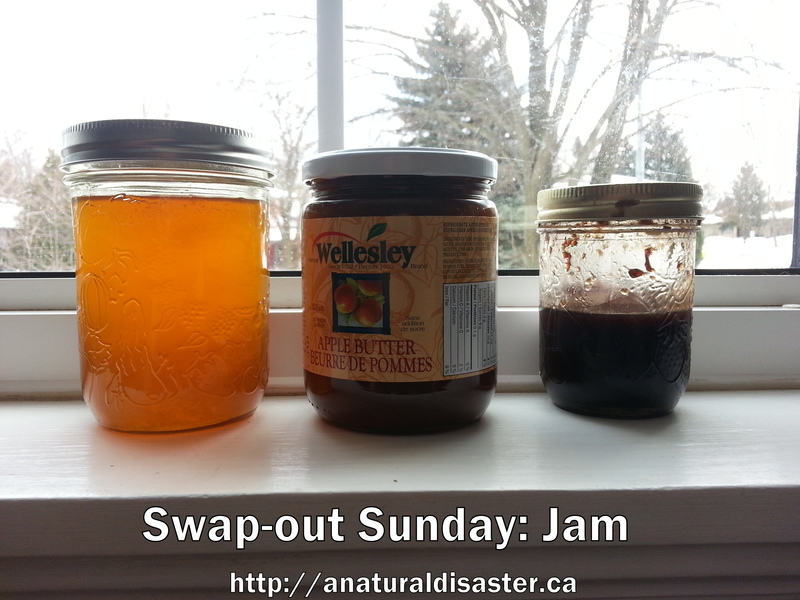 This week, swap out jam with added sugar for a sweet, all-natural sweet spread. My favourite indulgent-sounding spread is actually just apples boiled down and concentrated until they become thick, spreadable and sweet. I buy mine in a jar (ingredients: apple juice, apple sauce, sodium bicarbonate [baking soda, which makes it ok in my books], cinnamon). You can also make it at home (and if you do, kudos to you!). Wellesley is the brand I like and can find near me. 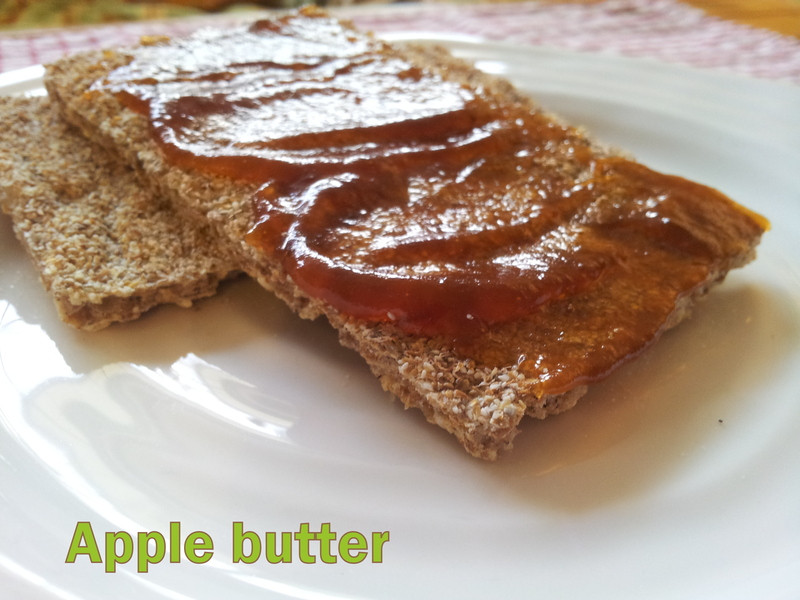 Note that apple butter’s cousin, pumpkin butter, does contain added sugar because pumpkin isn’t sweet. 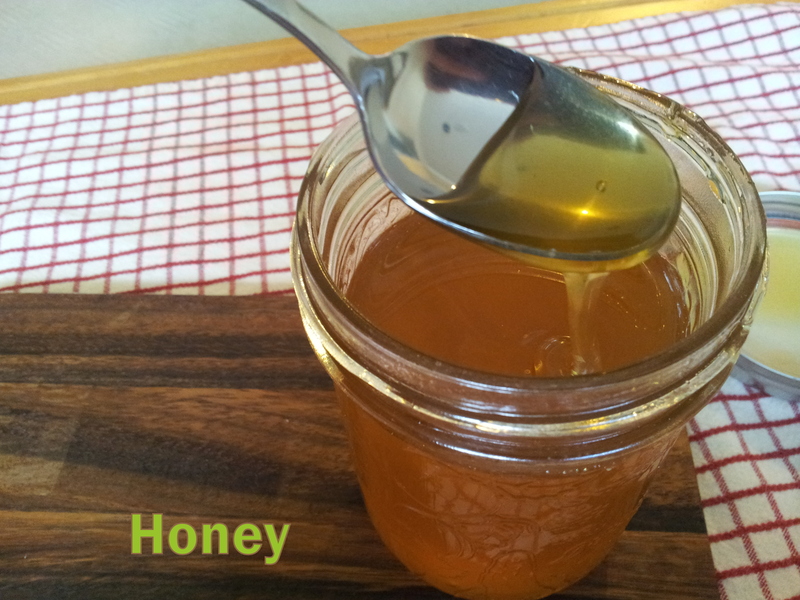 Just like fancy wines, honey has terroir – a taste that comes from the land. It takes on the essence of the nectar from which bees collect their nectar. In my experience, it’s worthwhile to ditch the Billy Bee (which may actually come from China) and seek out local honey. If you like a more burnt, molassy flavour, try buckwheat honey. For a lighter, fruitier finish try wildflower or blueberry honey. Or choose whatever mix your local farmer or farmers’ market happens to have this year. PB & H was one of my favourite sandwiches growing up (and sometimes I even added banana); just make sure you have a tall beverage to help wash it down. Find a honey producer in Ontario. I’m not a huge fan of fruit spreads because it’s hard to find one that’s all-natural and their flavour generally isn’t concentrated enough for me. But if you can find one without artificial sweeteners, preservatives or weird additives like “natural flavours” and “anti foam” (I don’t even want to know), they could be a good alternative. Greaves and Whole Foods’ 365 are two I’ve found. You might have luck with local or farmers’ market brands as well. Sugar is a vice, not an everyday food, so think twice about slathering it on your toast, especially when there are easy alternatives.